Ragnarök: An ending, or a beginning? 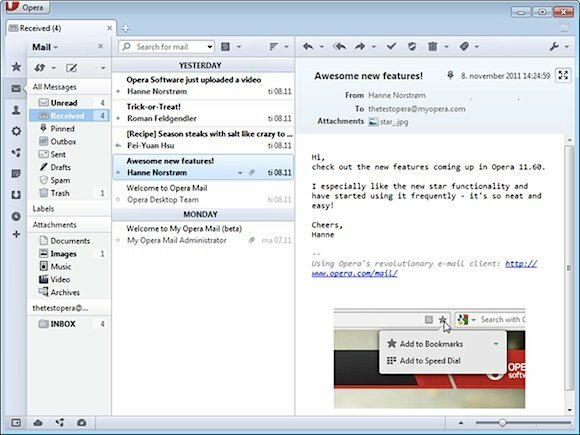 Opera has given one of its best-kept secrets - its email client - a facelift in the latest general release of its browser, available this morning. While work continues on version 12, currently in Alpha condition, the new desktop version reaches 11.60. Included is a new HTML parser Ragnarök, the first update for fifteen years, and a lick of paint for the excellent, if eccentric built-in email program. Adding to the feature list are more HTML5 features, and full support for ECMAscript 5.1. We'll take the new email program through its paces shortly, but the cosmetic overhaul is clearly evident right away. 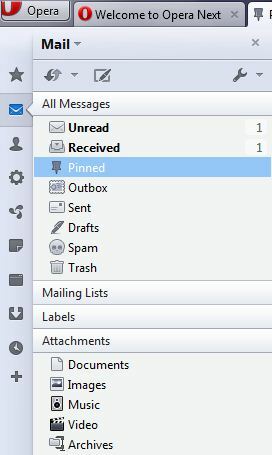 The M2 mail client has been one of the web's hidden gems. It uses a database approach and retrieving emails is near instantaneous. It eschews conventional folder organisation for views, which requires a little learning (or unlearning the more rigid traditional filing approach). But this unconventional systems has deterred all but the intrepid. The makeover in 11.60 should ease some anxieties, perhaps. It's not without controversy on the beta fora - particularly the odd decision to place the subject line above the sender in the list, as the screengrab above shows. Unless you want the paid-for powerhouse that's RITLabs' The Bat! email client, this is perhaps the least burdensome and most effective email client you can find for Windows, given the decline of Thunderbird and Microsoft! Windows! Live! Email! into sluggish middle age. Like the latter two it's free, unlike the latter two, you get a very good browser bundled with it. Windows, Mac and Linux users can all get their hands on the new release today.